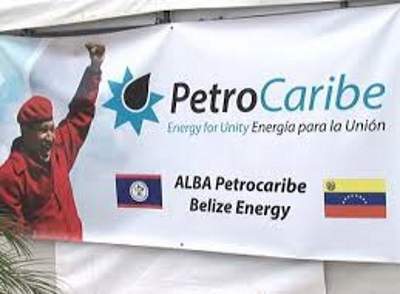 The Alba Petrocaribe Belize Energy Limited (APBEL) was formed in 2012 to carry out the business logistics of the initiative in Belize after being dormant for quite some time. Via a press release issued on Thursday, September 14th, APBEL said that it had decided to suspend purchases of petroleum products from Petroleros de Venezuela Caribe S.A (PDVSA) after encountering a number of problems with maintaining a reliable supply. The late delivery of fuel has forced distributors in Belize to truck containers of fuel to Belize from El Salvador. This alternate method has come at an additional price and is contributing to fluctuation in prices at the fuel pumps. Faced with years of government and social unrest, this year Venezuela has seen escalating economic and political instability. 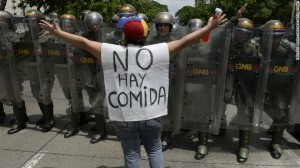 This came after Supreme Court magistrates, aligned with socialist President Nicolas Maduro, ruled that it will take over the opposition-led Congress’ legislative powers, in a move condemned by opposition parties as an attempt to install a dictatorship. 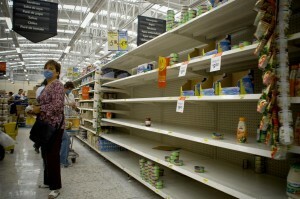 The crippling economic crisis has led to high food prices and a lack of basic goods. However, President Maduro says the economic crisis is due to a capitalist conspiracy backed by the United States of America in which the Organizations of American States (OAS) is involved. In July of this year OAS Secretary General Luis Almagro supported U.S sanctions on Venezuelan officials. “Targeted U.S sanctions, including against Venezuela’s oil sector, would be a welcome move against a regime that has plunged this South American nation into an economic and humanitarian crisis,” said Almagro. Many of the country members of the OAS have supported that notion, including Belize. As such, other politicians in Belize are not convinced that the relationship between both countries hasn’t been altered. Leader of the Opposition Honourable John Briceño has a pessimistic view on the future of the Petrocaribe program, and believes that Venezuela is walking away due to the lack of support from Belize. “It could be that Venezuela is saying, we are giving you all this money, we see how you are badly spending it and we see that there is a lot of corruption going on,” said Briceño. “They are not happy with how Belize has been spending the Petrocaribe funds.” Briceño added that the funds were to be used to help alleviate poverty in Belize. “We have even more poverty today than when the project was enacted,” he said. Briceño believes this could be one way Venezuela is punishing Belize, hinting that is time to start making payments for the usage of the Petrocaribe funds. John Mencias, General Manager at APBEL briefly commented on the program and the repayment of the millions of dollars from the Petrocaribe fund, which has already been depleted. “Any questions about the future of the Petrocaribe Accord as it relates to loan repayments from Belize to Venezuela would be reserved for the government,” he said. On the other hand, Mencias mentioned that no political considerations, international or domestic, influenced APBEL’S decision to suspend the importation of fuel from Venezuela. The Petrocaribe program was a vision of the late and former President of Venezuela Hugo Chavez who ruled the country from 1999 to 2013 when he passed away. The program was launched in 2005 as an oil alliance between several Caribbean countries and Venezuela to purchase oil on conditions of preferential payment. Eight years later, Petrocaribe agreed to expand beyond oil production and promote economic cooperation as well. Under this expansion, the Government of the United Democratic Party (UDP) was able to access far more in financing. The UDP Government was also able to spearhead road infrastructure, and sports facilities of large scales. However, according to critics from the Opposition, there was also massive public spending that did not benefit the Belizean people. While the alternate supply of fuel to the country is expected to remain uninterrupted, the Government of Belize, PDVSA and Puma (current fuel importer), along with APBEL are expected to meet sometime this month to discuss the issue. In the meeting the possibility of resuming fuel supply from PDVSA in the near future will be determined. The option to find a suitable and permanent source will also be tabled at the gathering. Venezuelan opposition is controlling government: What does this mean for Belize?